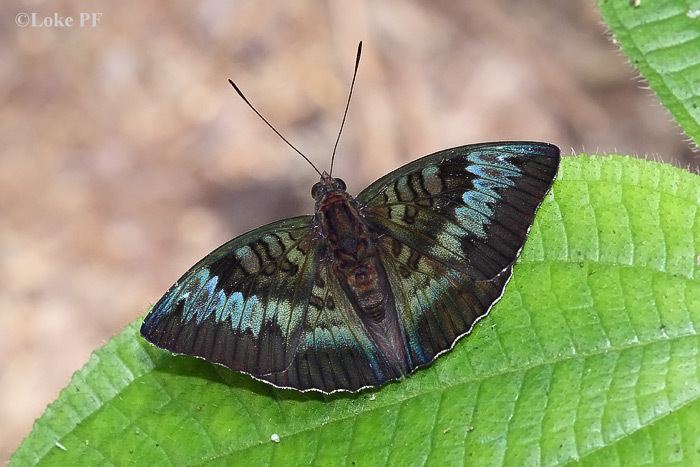 The Malay Baron is one species that displays polymorphism in one of the sexes. In the case of this species, the males occur in three distinct forms, f-monina, f-gardineri and f-decorata. Often, a range of intermediates of these forms occur. The Malay Baron is largely a forest-dependent species and is predominantly found in forested areas in the nature reserves rather than in urban parks and gardens. This male f-gardineri Malay Baron was photographed at a park connector near a forested area by ButterflyCircle member Loke PF. The males of this species are robust and fast flyers, but often return to sunbathe on favourite perches. They are also known to feed on fermenting fruits on the forest floor. Females of this species are typically larger, often with 30% or more wing area compared to the males.